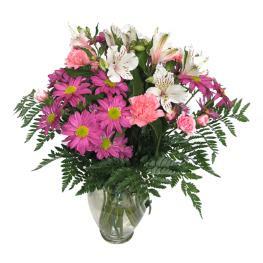 The Angelique Bouquet blooms with sweet sophistication and gorgeous grace to create a special moment for your recipient. 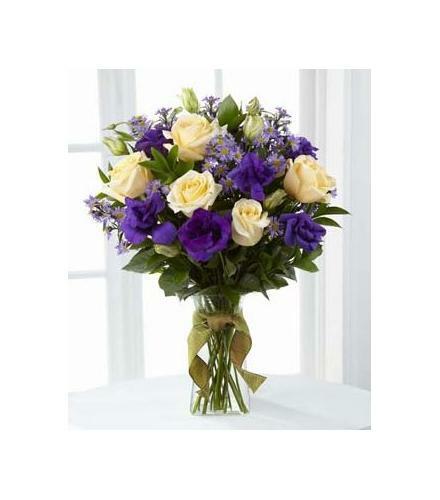 Cream roses are arranged to perfection against the royal purple hues of lisianthus and monte casino asters perfectly accented with lush greens. 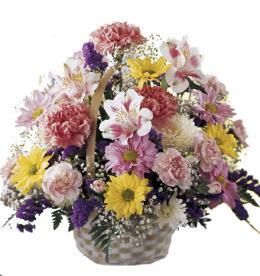 Presented in a clear glass vase tied at the neck with an amber wired taffeta ribbon, this bouquet is an exquisite way to extend your warmest wishes and affection. 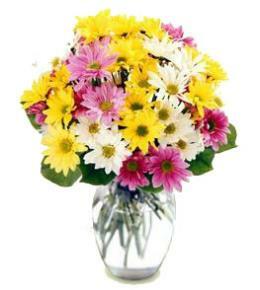 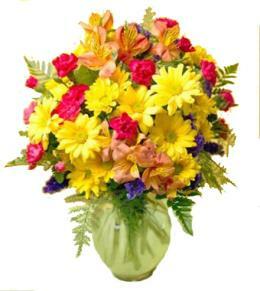 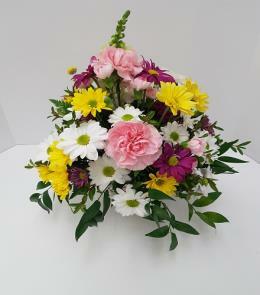 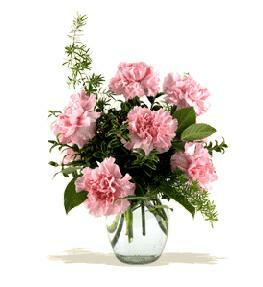 Corportate Gift Ideas - Angelique Bouquet Vase may be Round.